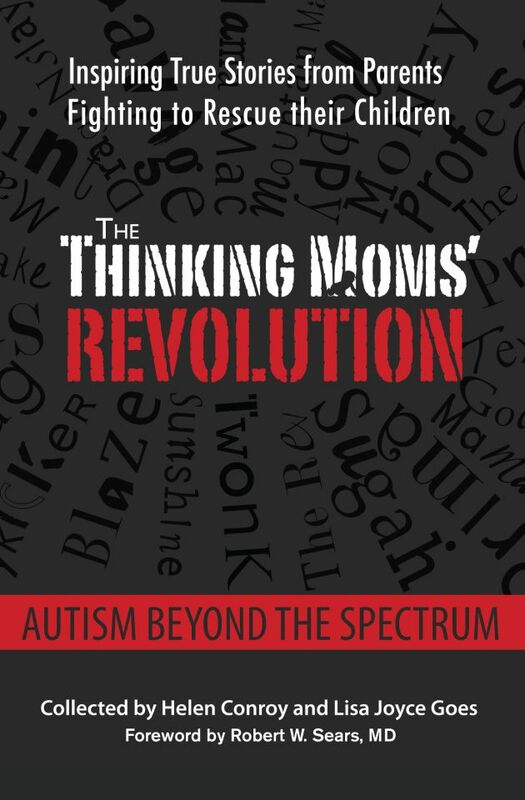 Feel like you are seeing a lot of promotion for the Thinking Moms’ Revolution: Autism Beyond the Spectrum book that makes its debut in April? Me, too. We are living it 24/7 as we gear up for the book launch. The initial print run is 2,500 books. Our goal is to run out the first week so we have to reprint right away. (Actually, I would love to run out while still in presale orders. . . Just me??) It occurred to me though, that not everyone knows WHY this is so important to us. Allow me to explain . 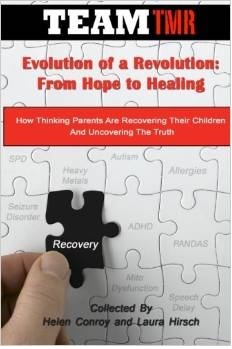 . .
Back in 2011, when we decided to write the book, we wanted to share the support we had found in each other and encourage people out there dealing with an autism diagnosis to seek out and find support in other parents living similar issues. We all felt our friendships had been truly game changing. Not only did we get treatment ideas and a real-time breakdown of what that treatment did for another child, we got 23 parents cheering us on when we had gains, or lending ears to listen if it did not work as planned. It was important. So important, we thought, that we wanted to share it far and wide. So we each wrote a chapter for the book, and we started the blog (which, as you all know, took on a life of its own). The book contains our stories, but it is relevant because it could be any of us. Any of you. And we need to make sure people know that: how unacceptably common our stories are today. The blog and our Facebook page allow us a greater reach than just talking about the book at a local book signing. Through the internet, we can reach people all over the world. And we are. Rio de Janeiro just overtook Chicago as the city with the largest TMR blog following (CRAZY, right? We are so excited). Before we attended Autism One last year, we wanted to trademark our name. So we all pitched in and hired an attorney. Our original thought was to form a not-for-profit 501c3 organization, but we learned it would take a lot longer and would cost more money than we had at the time, so we formed a limited liability corporation and forged ahead, knowing at some point we would create a not-for-profit part of TMR. I’m glad we did this. I have watched my fellow Thinking Moms work incredibly hard over the last year. Though we take turns blogging, we have a blog team that puts out the schedule, edits the blogs, formats and posts them. We have an amazing webmistress who makes sure we have enough bandwidth and security, keeps us a step ahead, and is responsible for some amazing memes as of late. We have a diligent book committee who has edited and pieced together the book. We have a genius graphic designer who has designed all our logos, our T-shirts and our book jacket. We have a merchandising team that answered the demand for TMR merchandise (and a generous Thinking Mom that funded that initial purchase). We have a fabulous marketing team, including our very talented resident video maker and newsletter creator. And we have a few PR gurus who are heating things up right now as I type. Through all this, although we have all invested a little money to make TMR a reality, none of us has profited financially. The first year in any business is all about breaking even, and for TMR it has been no different. Attorneys and accountants are expensive but necessary, but most of those fees are behind us now. We did not write this book to get rich. There are 24 of us. It is hard to eek out a living as a sole author. With 24. . . well, I know you guys can do math. I want to be up front and clear that it is my hope and intent that at the end of 2013, we can distribute $200 or so to each of the authors. It is not a lot, but I personally feel like it would be a nice end-of-year bonus as a thank you for all the work they do each and every day at TMR for our readers and supporters. Our volunteer-led not-for-profit is almost up and running (cross your fingers people; we are very close!). We will talk more about that this summer, but know that a portion of the profits from the book will be the first funding our not-for-profit organization receives. And know that we will use that funding to help families struggling to pay for autism treatments. How can you help? 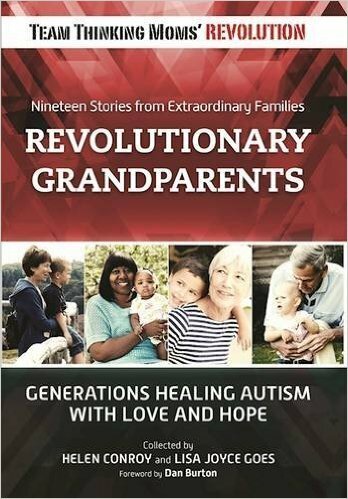 Share our blogs and memes, buy our book for your friend dealing with a new diagnosis, look for opportunities to help us distribute copies in your local market and let us know so we can take action. Share our amazing online media kit with any contacts you might have, and participate in our one-day push on release day to help bring the book into Amazon’s top ten. We will continue to share support and treatment information. We will continue to celebrate the victories our children achieve (say it with me: FUA!). We will continue to work at the grass-roots level to effect change. And we hope you will continue to walk with us. For more blogs by Goddess click here. 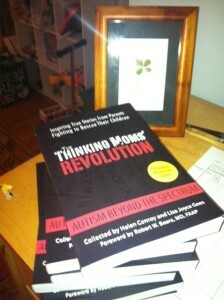 This entry was posted in Blogs by Thinking Moms' Revolution, Goddess TMR and tagged Autism Beyond the Spectrum, Book, Goddess, The Thinking Moms Revolution, TMR. Bookmark the permalink. Fantastic work…. I’ll promote it on my blog and FB page. Remove the pop- up Facebook ad. It causes the screen to dim while one is trying to read. One must stop reading and deal with the ad. I do not like this . It is annoying. My life is full of annoying things. If this annoyance does not cease, I will no longer visit. I suggest installing a pop-up blocker and ad-blocker software. It has done wonders for my sanity. I already put in my order. I love the fact that you support each other as well as everyone else.